O'Fallon, IL pharmacy The Medicine Shoppe Pharmacy has introduced the affordable and confidential Rapid DNA Paternity Test Kit. The kit enables customers to submit samples for 2-pass testing for more than 20 DNA markers and receive secure online results in 2 business days. O’Fallon, IL pharmacy The Medicine Shoppe Pharmacy announced the sale of the Rapid DNA Paternity Test Kit. The price of the affordable, simple & accurate DNA kit also includes the cost of shipping samples to the lab and testing fees. DNA testing in the United States is a legal method of determining paternity. According to the MIT Technology review, there is an increasing interest in consumer DNA testing in the country. All DNA testing is considered valid and authentic only when performed at a lab that is accredited by the AABB, a standards & accreditation body for medical and cellular therapies. 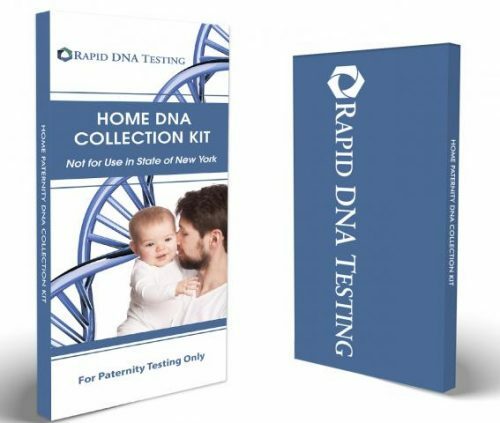 The Medicine Shoppe Pharmacy now offers the Rapid DNA Paternity Test kit for an affordable price of $89. The test may be performed in the privacy of an individual’s home and dispatched to the lab at no additional cost. All samples from the low-cost DNA paternity kit are tested at an AABB accredited laboratory and are tested for more than 20 DNA markers, with a provision for additional testing, if necessary. The lab guarantees the accuracy of the results by running two passes of the test. Results are reported confidentially to the client within 2 business days, except in the State of New York. Test results are maintained online with maximum secure encryption to ensure privacy. The Medicine Shoppe Pharmacy also offers medication delivery services, Dispill Multi-Dose Packaging, Influenza & Strep testing, and enrollment services for Medicare. The pharmacy also offers wellness classes to prevent and manage diabetes, asthma, high blood pressure, and cholesterol. Wellness classes also cover weight loss and abstinence from smoking.